Politico reports Trump plans to meet North Korean leader for two-day summit in Vietnam on February 27 and 28. US President Donald Trump plans to meet North Korean Leader Kim Jong Un for a two-day summit in Vietnam on February 27 and 28, Politico reported on Tuesday night. According to the report, the president told a group of television news anchors about the date and location of the meeting before his State of the Union address. Trump is expected to formally announce the details of his second summit with Kim during remarks from the House chamber later in the evening, four sources familiar with his plans told Politico. One senior administration official, who was not authorized to discuss details of the upcoming summit, said Trump’s speech was still in flux as of Tuesday morning and it was unclear how many specifics the president would get into. A White House spokeswoman declined comment, saying she didn't want to get ahead of the speech. Should the summit indeed occur later this month as expected, it would be Trump’s second summit with Kim over the last year. 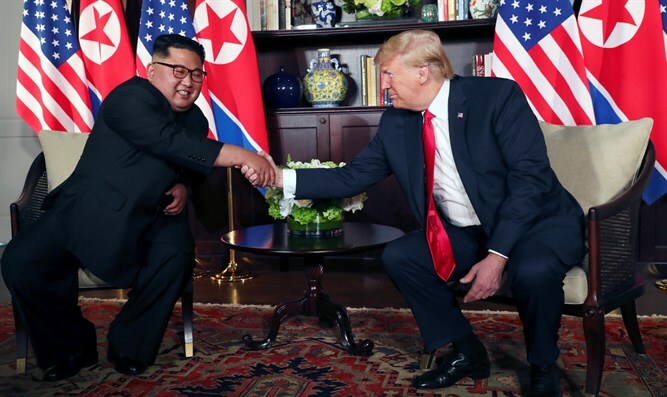 Trump and Kim held a historic summit in Singapore last June, during which they signed an agreement which includes a commitment to achieve total denuclearization of Korea, with promises to pursue “vigorous negotiations” to that end. Last month, the Center for Strategic and International Studies (CSIS) published a report showing that North Korea has 20 undeclared ballistic missile operating bases, and one of them serves as a missile headquarters. Trump administration officials have been quietly planning the president’s second summit with Kim for weeks, noted Politico. A senior White House official said the plans came together in mid-January when Trump welcomed Kim Yong Chol, a leading North Korean official, for a meeting in the Oval Office. US special envoy for North Korea Stephen Biegun is also set to travel to North Korea this week to plan the high-level meeting.